Our dream team for a clean sharp look. 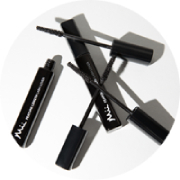 The moisture rich concealer hides regrowth and imperfections, working wonders on the whole eye area. 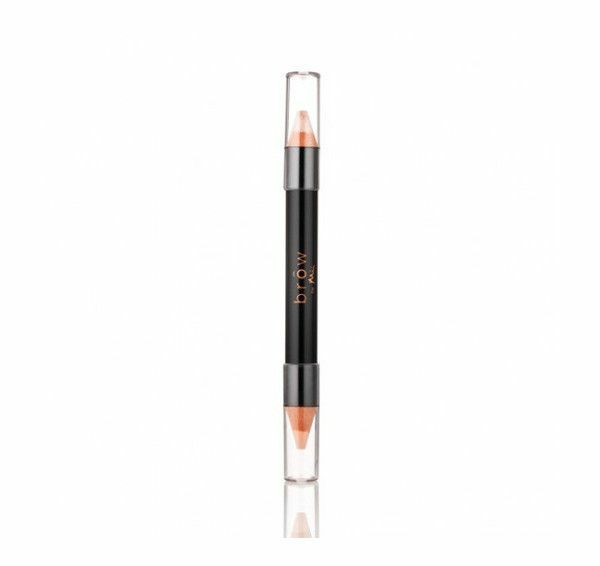 Then the velvety soft contouring pencil highlights and lifts, enhancing your perfect brow shape. 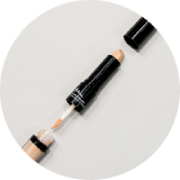 PERFECTLY CREAM CONCEALER - CI 77891, CI 77492, CI 77491, CI 77499, RICINUS COMMUNIS OIL, ETHYLHEXYL PALMITATE, CANDELILLA CERA, NYLON-12, OCTYLDODECANOL, BIS-DIGLYCERYL POLYACYLADIPATE-2, COPERNICIA CERIFERA CERA, SIMMONDSIA CHINENSIS SEED OIL, CAPRYLIC/CAPRIC TRIGLYCERIDE, CETYL ALCOHOL, CERA ALBA, TALC, PENTAERYTHRITYL TETRA-DI-T-BUTYL HYDROXYHYDROCINNIMATE, CALCIUM SULFATE, MONTMORILLONITE, WHEAT GERM GLYCERIDES. HIGHLIGHTER - MICA, CI77891, CI 77163, CI 77491, RICINUS COMMUNIS OIL, CANDELILLA CERA, OCTYLDODECANOL, ETHYLHEXYL PALMITATE, SIMMONDSIA CHINENSIS SEED OIL, BIS-DIGLYCERYL POLYACYLADIPATE-2, COPERNICIA CERIFERA CERA, CAPRYLIC/CAPRIC TRIGLYCERIDE, CETYL ALCOHOL, CALCIUM SULFATE, MONTMORILLONITE, CERA ALBA, TOCOPHEROL, TALC, ASCORBYL PALMITATE, WHEAT GERM GLYCERIDES. 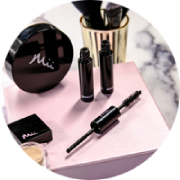 Love the Brow by Mii Conceal and Contour duo! Makes my eyes pop.